According to the World Happiness Report 2018, Finland is the happiest country in the world – a far cry from the UK sitting at a rather drab number 19 in the rankings. 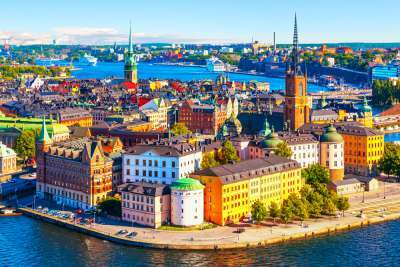 Scandinavian countries have plenty to be grinning about as they dominate 50% of the top 10. But what do the happiest countries do differently? The annual ranking measures happiness through six factors: income, life expectancy, social support, freedom, trust, and generosity. Here are the the top 10 happiest nations. Finland has taken a mighty leap from fifth place to the top spot - swiping the 2017 crown from Norway. 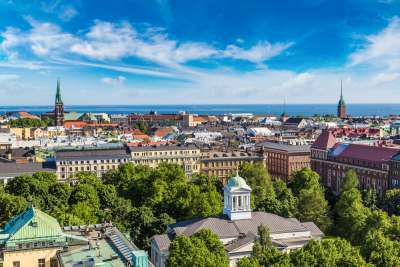 Part modern cosmopolitan Nordic country, part ancient, frozen countryside with rich history, this northern gem has something for everyone. With more forest per square mile than any other European country and high environmental standards, Finland’s 5.5 million-strong population has plenty to be smiling about. Norway snaps up second place. Similarly to its neighbours, the country ranks highly for social equality and welfare. For a dose of happiness and fresh, clean air, book yourself on a cruise through the impressive Geirangerfjord. 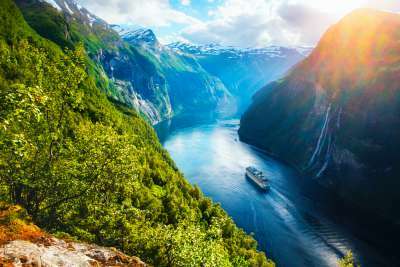 Known for its spectacular waterfalls and dramatic surrounding mountains, it’s no wonder Geirangerfjord features on the UNESCO World Heritage list, and why Norway has been voted as Europe's most beautiful country! In third place is Denmark – birthplace of Vikings and Lego. This beautiful nation is home to hundreds of small islands, so whether you’re on the hunt for a city break or a rural getaway, Denmark has got you covered. 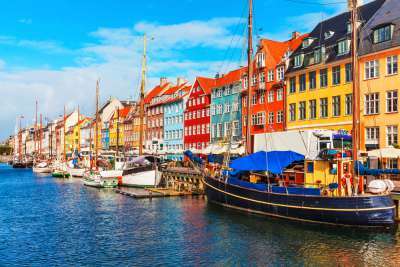 Colourful cities such as Copenhagen and Aarhus are becoming increasingly popular with tourists who fancy a taste of the happy-go-lucky, ‘hygee’ lifestyle. In a nutshell, hygee points to a special feeling or moment of contentment; picture getting cosy by a roaring fire in winter with an endless supply of Danish treats – pure happiness! Dropping one place to fourth this year is the stunning Iceland. With a low income tax, free healthcare and free higher education for its citizens, the reasons for happy Icelanders are plentiful. It’s also no surprise that Iceland was ranked as the world’s most peaceful nation in 2017. 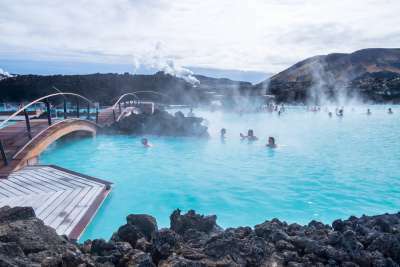 Visit during the summer to witness the phenomenal midnight sun or spend some time relaxing in the geothermal Blue Lagoon in winter. Iceland is a spectacular holiday destination that needs to be seen to be believed. 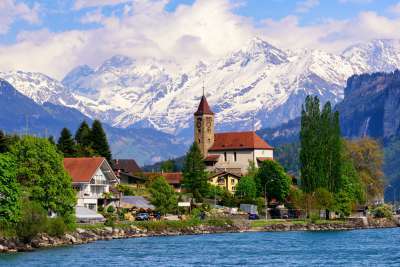 Ah Switzerland, the nation of urban-chic cities contrasting with the breathtaking Alpine mountain range. In addition to delicious chocolate, the country ranks highly for governance, civil liberties, quality of life, economy and human development. Although a fantastic holiday spot for skiing in the winter, during the summer months you can take on the mountains by foot or explore a network of cycling paths. There's also an array of sightseeing opportunities in cities like Geneva, with orchestras, traditional restaurants and more. Thanks to its liberal mentality and welcoming citizens, the Netherlands is well known for its cheerful and laid-back approach to life. With painters, windmills, clogs and a love of cycling, the Netherlands is a nation boasting a wealth of cultural heritage. 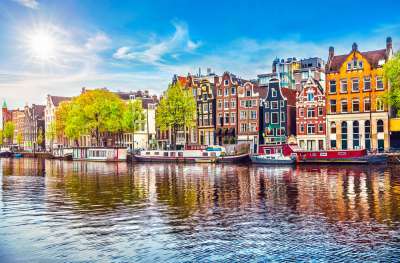 The popular cities of Rotterdam and Amsterdam make for budget-friendly holiday destinations brimming with art, culture, shopping and caramel-filled stroopwafels - yum! Amsterdam alone is home to over 180 nationalities - a city recognised for its progressive and open nature. Who wouldn't be beaming with breathtaking landscapes, high life expectancy and a portion of tasty poutine? Canada's snow water lakes and soaring mountains are paradise for nature lovers all year round. Feel your jaw drop as you gaze at the breathtaking Niagara Falls or get your camera ready to capture the stunning architecture as you wander around Old Montreal. Canada's thriving inner cities are cosmopolitan, filled with restaurants breaking gastronomical moulds, and famously generous and welcoming residents. 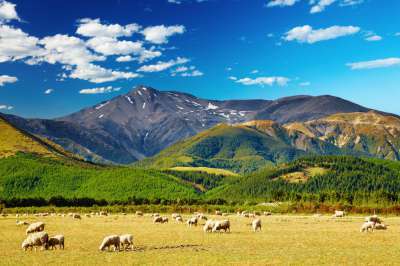 In 8th place is New Zealand - a country known for its remote and laid back way of life. New Zealand’s population is relatively small given the country's size and is made up of friendly Kiwis who are known for their conviviality. Funnily enough, sheep make up more of the population than native New Zealanders, but rest assured they’re content with life thanks to all that lush green grass they've got to munch on. Surprise! Another Nordic has made it into the top 10. So Sweden's natural landscapes aren't as famous as its Nordic neighbours, but its countryside is still beautifully dramatic. The vibrant capital of Stockholm is a mix of contemporary design and fairytale-like architecture, all spread across 14 islands. Swedes lead happy lives with a thriving economy and they put their happiness down to their passion for travel and acceptance of other cultures – oh, and probably their invention of cinnamon buns! With all that vitamin D from the sun and mighty barbeques, it’s hardly surprising Aussies are a cheerful bunch! 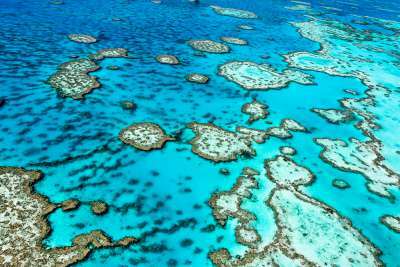 Australia’s main cities are scattered along the coastline with endless golden beaches and turquoise waters in between. In contrast, the country’s centre is home to vast swathes of dusty outback and iconic natural landmarks like Uluru – attracting tourists from across the globe. With plenty of room to escape the crowds and its famous easy-going lifestyle, it’s no wonder Australia is happy place to live.